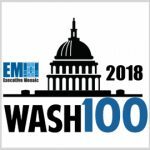 Executive Mosaic today announced the recipients for the 2018 Wash100 awards, a select group of private- and public leaders chosen by the company’s organizational and editorial leadership, as the most impactful and influential leaders in the government contracting sector. The recipients of the award are recognized for their leadership, innovations, achievements and their contributions to programs and initiatives that benefit American citizens. 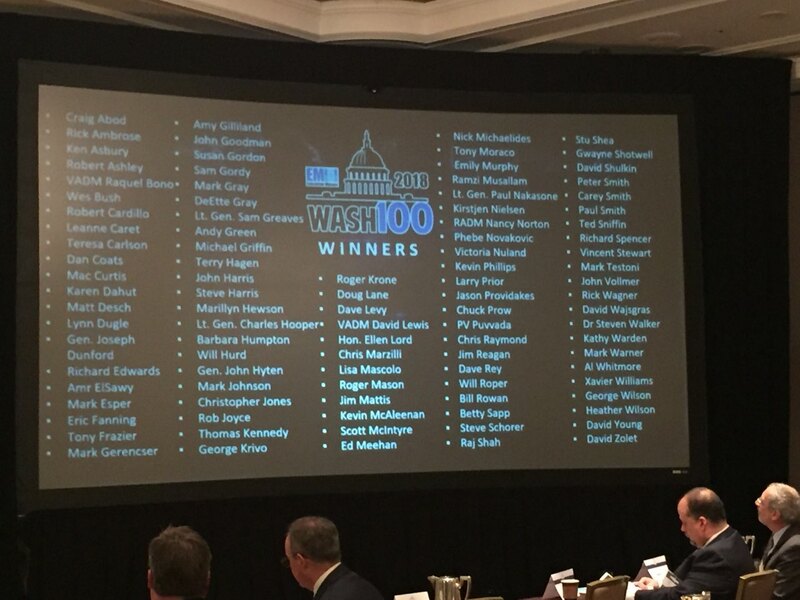 The fifth annual Wash100 list of names was revealed by Jim Garrettson, president and founder of Executive Mosaic and Wash100 at an event held at the Ritz-Carlton Tysons Corner, McLean, VA.
Visit the 2018 Wash100 website to see the full list of recipients. Also, visit the site to cast your vote for vote those executives you believe will have the greatest impact on government contracting.